Afrofuturist B-Boy, remix alchemist, legit funk phenomenon… Montreal’s Shash’U is truly one of a kind. He’s been burning down stages from Boiler Room at SXSW to underground street dance competition “Juste Debout” with a mix of wild style remixes and audacious originals that sound at once alien and familiar, turning even the poppiest of radio hits into breakbeat battle weapons. This approach has won Shash’U a rabid following. Originally from Montreal – son of Haitian parents – Richard St- Aubin, best known as Shash’U, first saw the light of day in 1983. He was only 9 when he began to play the drums and then turned to electronic music composition in his late adolescence. He would soon thereafter develop a unique signature sound thanks to his mixture of avant-garde hip-hop, funk, r&b and electro acoustics. At the age of twenty and after a few years of practicing various forms of street dance, Shash’U adopted the turntables to become the DJ that we know today. He has since forged a solid reputation in the planet-wide realm of street dance. His musical career began to take shape through his performances as DJ-beat producer for his fellow street dancers, for whom he composes and plays his instrumentals in international competitions. This introduction to the DJ art is what allowed him to make the leap into the world of nightclubs. 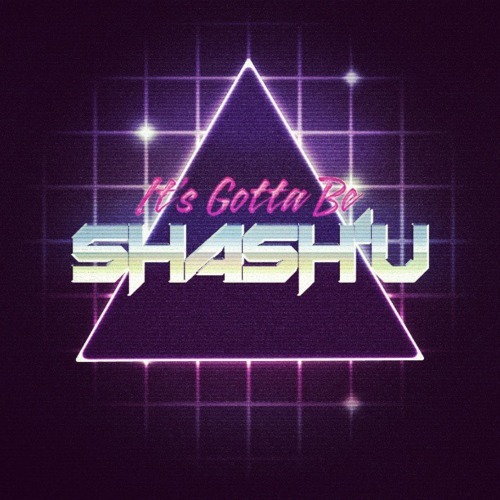 As of the year 2005, Shash’U – who already possessed a solid DJ reputation – starts building his amazing track record as a composer and songwriter, collaborating with some of the biggest names in hip-hop and electro beat both in Quebec and abroad. A-Trak (CA/USA), Lunice (CA), Kaytranada (CA), Chromeo (CA/USA), James DiSalvio (Bran Van 3000), Youssoupha (FR), Kutmah (UK), Gage (Fr), Gilles Peterson (UK), are some of the artists with whom he teams up. Now, with a musical career spanning ten years and having traveled throughout the world with his music, Shash’U has become one of the great ones in the international beat world setting the stage for his signing with the New York label Fool’s Gold Records. Shash’U has been invited to prestigious events and festivals such as: SXSW (Boiler Room, Fool’s Gold Showcase, Mad Decent x Fool’s Gold Super Party), Be Street Weekend (Paris), Low End Theory (LA), Fool’S Gold Day Off (NYC), Francofolies de Montréal, Igloofest, etc. His online presence is also growing by the minute (34 000 followers on Soundcloud and almost 10 million plays, 34 000 fans on Facebook, millions of views on Youtube) and the demand for international touring is increasing proportionally. His numerous free remixes and EPs offered online and the millions of plays he has received on Soundcloud and Youtube have allowed him to build a fan base in the four corners of the world. His style, which he calls PWRFNK (Power Funk), is unmistakably identified by the character of his drums and by the omnipresence of his bass. PWRFNK revolves through synthesizers from the 80’s, melodic bass lines and funk, which our Montrealer revisits with a contemporary approach to vintage-hip- hop/street beat with an urban flavour. Montreal beat king Shash’U kicked off 2015 with his debut Fool’s Gold EP Thru Da Night, launching his inventive, muscular take on dance music worldwide, and racking up props from underground peers like Kaytranada, gatekeepers at MTV and BBC Radio, and sweaty fans around the globe in the process. Most producers would be content to repeat a successful formula on their follow-up release, but on the new PWRFNK EP, Shash’U blows up his own playbook entirely, blazing forward with a wildly self-assured sound that slaps futuristic, heavy bass over ‘80s-inspired electro grooves, a musical genre soon to be recognized worldwide as PWRFNK.